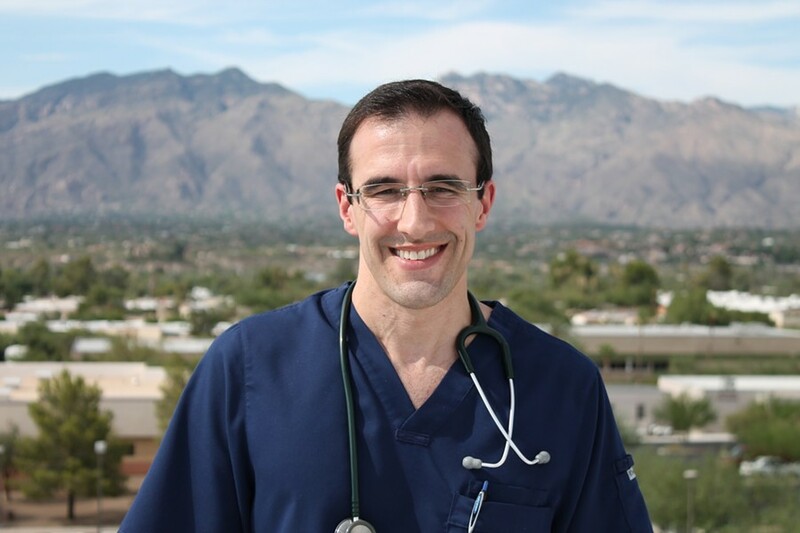 Democrat Matt Heinz, who's making his third bid in Congressional District 2, released a survey this week that showed him neck and neck with fellow Democrat Ann Kirkpatrick, the former congresswoman who has moved to Tucson to seek the seat (and be closer to her daughter's family). The survey of 400 Democratic voters by FM3 Research showed Heinz with the support of 27 percent and Kirkpatrick with the support of 23 percent—which falls within the poll's margin of error of plus or minus 4 percent. The other candidates in the race—Mary Matiella, Bruce Wheeler and Billy Kovacs—were all in the single digits. (Team Heinz didn't poll the names of other little-known newcomers to the race.) But the poll also showed that the highest percentage of voters, 36 percent, remained undecided or were supporting another candidate. So there's a lot of room for changes in the numbers. Keeping in mind that this is an early poll and these days, almost anything can happen in politics. But it suggests that the CD2 Democratic primary is shaping up as a two-person race between Kirkpatrick and Heinz, especially as the other candidates (who already suffer from low name recognition) struggle to raise enough money to let voters know who they are. For Democrats, there's a lot riding on the race. It's an open seat, with Congresswoman Martha McSally giving it up to seek the retiring Jeff Flake's Senate seat. It's also one of the most competitive seats in the country; one third of the voters are Republican, one third are Democrats and one third are independents. So CD2 could be a key race in the Democrats effort to flip control the U.S. House of Representatives. Kirkpatrick, who previously represented Congressional District 1, certainly has the financial advantage. As of the end of March, she'd raised nearly $1.3 million and still had almost $822,000 on hand. Heinz, by contrast, had raised just under $650,000 and had just under $430,000 in the bank—and that includes $250,000 that Heinz lent his campaign in the first quarter of the year, which means he's having some trouble getting people to open their wallets. The polling memo from Team Heinz also telegraphed one of his likely avenues of attack on Kirkpatrick. The pollsters note that Democratic primary voters were likely to react negatively to some of Kirkpatrick's past votes and positions in office—in particular, her previous warm words for the National Rifle Association. In 2010, when the NRA held a convention in Phoenix, Kirkpatrick welcomed them with a prepared statement: "As a gun owner myself, I firmly believe in the right of all Americans to keep and bear arms, and I am proud that my state is hosting the group that has protected that right for 138 years. This is a chance for Arizonans to show our nation's leaders we will not let them take away our freedoms." But Team Kirkpatrick's Rodd McLeod says Kirkpatrick has changed her mind about the NRA—and he notes that in her 2016 campaign against Sen. John McCain, the NRA gave her a D rating. "She supports an assault weapons ban," McLeod says. "She has, for years, supported universal background checks. Like a lot of people, after the shootings and Sandy Hook and shootings in Tucson on Jan. 8, Ann Kirkpatrick really rethought her positions on gun laws." Kirkpatrick has also won the endorsement of Gabby Giffords and Mark Kelly, which helps insulate her from charges that she's in the NRA's pocket. She's also been named Moms Demand Action for Gun Sense in America Candidate and has been endorsed by the Brady Campaign to Prevent Gun Violence. Raytheon had a big celebration last week, cutting the ribbon on their expanded Tucson headquarters and announcing they'd already hired many of the 2,000 new employees the defense contractor anticipates bringing on board with the new facility. And right in the middle of everything, with a big ol' smile on her face, was Pima County Supervisor Ally Miller. It's a bit surprising to see Miller rubbing elbows with a gang of insider cronies like Gov. Doug Ducey, Tucson Mayor Jonathan Rothschild and fellow Supervisor Ramon Valadez. And it's especially surprising to see Miller turning up at a ribbon-cutting that would never had happened if she'd had her way. Miller repeatedly voted against a road realignment and other steps that the county took to convince Raytheon to consider expanding in Pima County rather than at its facility in Huntsville, Alabama. She repeatedly complained that Raytheon officials didn't visit her personally to lobby for a new road. And she repeatedly said the money should be spent on potholes rather than on an effort to retain the largest private employer in the region. And isn't it interesting how Miller planted herself right next to auto kingpin Jim Click Jr.? Click was none too pleased after one of Miller's highest-ranking flying monkeys, Roger Score, chased him around the Legislature and took a video while Click was trying to talk lawmakers into supporting a bill to extend the life of Rio Nuevo for an extra decade. Does this mean that Miller wants to make nice? Of course not. She just knows a good photo op when she sees one. The televised edition of Zona Politics with Jim Nintzel airs 6:30 p.m. Fridays on the Creative Tucson network, Cox Channel 20 and Xfinity Channel 74. The TV show repeats Sunday mornings at 9 a.m. and Thursday nights at 6:30 p.m. The radio edition of Zona Politics airs at 5 p.m. Sundays on community radio KXCI, 91.3 FM.